Scott Mellinger of Zao tells us a lil' bit about the Zao trip to Canada. 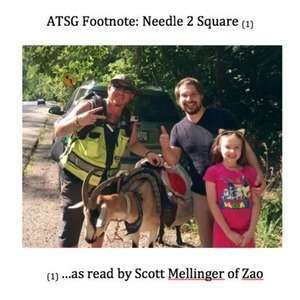 Then Scott is joined by his daughter Sydney to tell us about an amazing run-in with Steve Wescott and Miles of Needle2Square. This is an amazing story. You heard Zao play their song "Lies Of Serpents..." live from Amnesia Rockfest 2016 on 06/24/16...only the freshest metal for you, my lovlies.